The world is sadly filled with tragic moments and cold-hearted individuals. However, the following photographs show just how wonderful and compassionate people can be, even when faced with extreme violence, prejudice or sorrow. 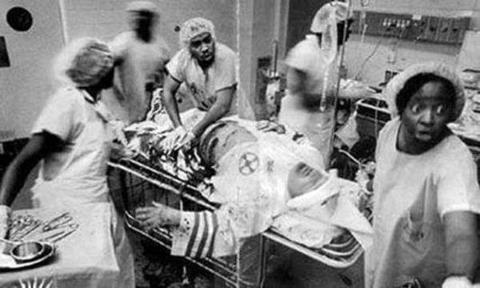 The above photograph shows black doctors performing emergency surgery on a Ku Klux Klan member, working tirelessly to save the life of a person who would probably not save theirs. 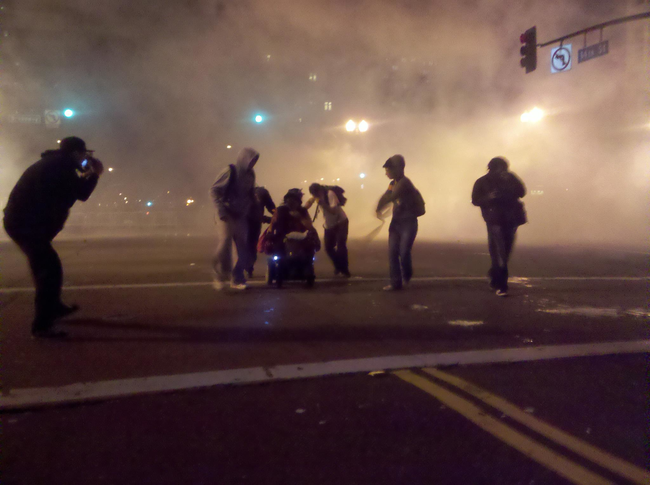 Here protestors help a woman in a wheelchair get away from teargas during a riot in Oakland, California. 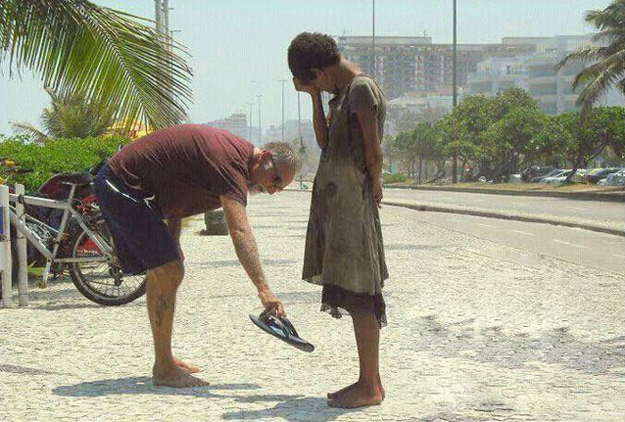 This man selflessly places his shoes in front of a homeless girl in Rio de Janerio, proving that even the simplest act can make a difference in someone else’s life. This photograph was taken after the above General said to protestors: “Do not fight, please, not on my birthday”. 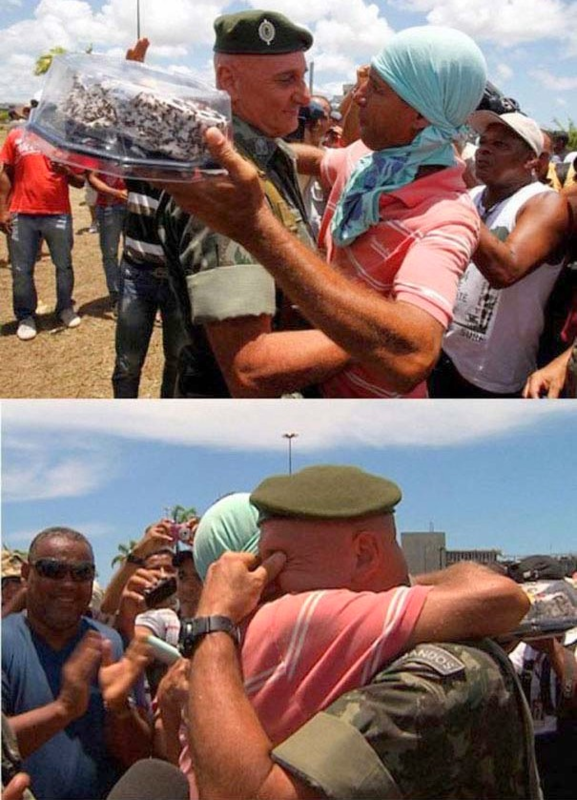 The protestors later returned with a birthday cake for the grateful general. 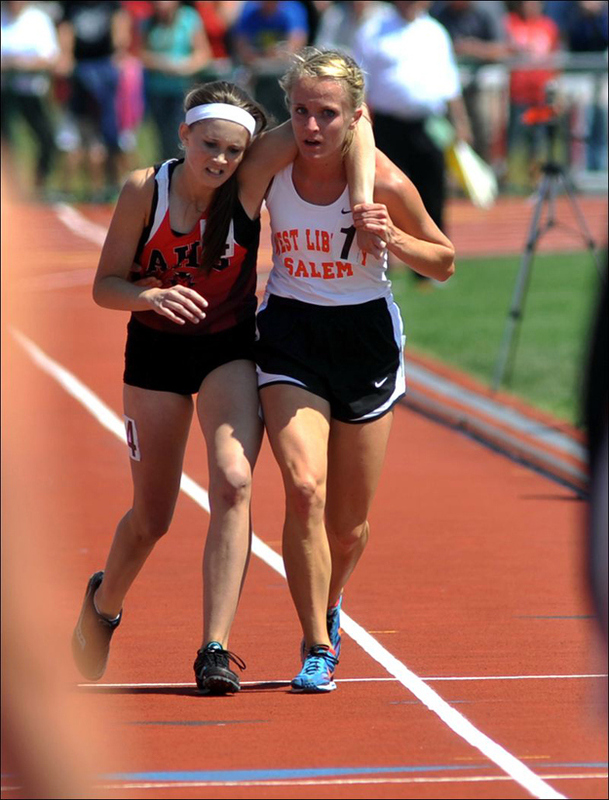 Meghan Vogel, a 17-year-old junior at West Liberty Salem High School, was competing in a 3200 metre race and was in last place position when she caught up to Ms McMath, whose body was giving out. Instead of zooming past her competitor to avoid last place, Vogel placed the runner’s arm over her shoulders to help her 30 metres to the finish line. 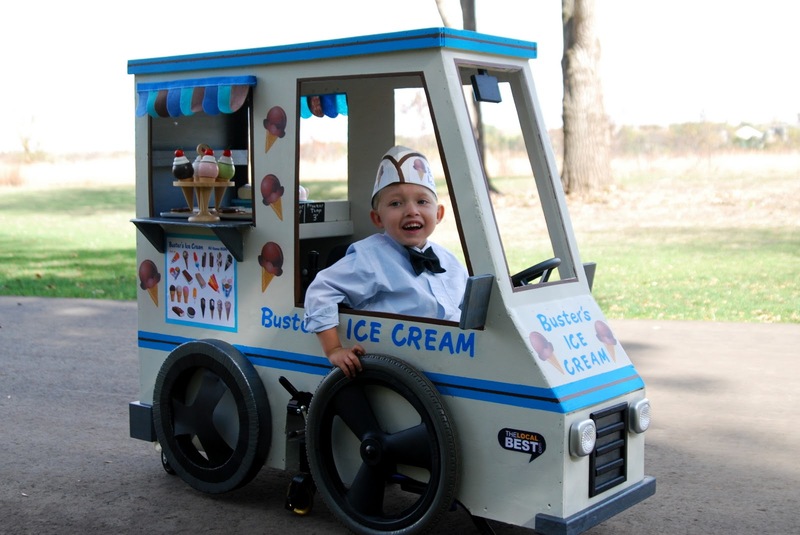 In order to provide their son with the best Halloween costume possible, these loving parents made this ice cream truck around his wheelchair. 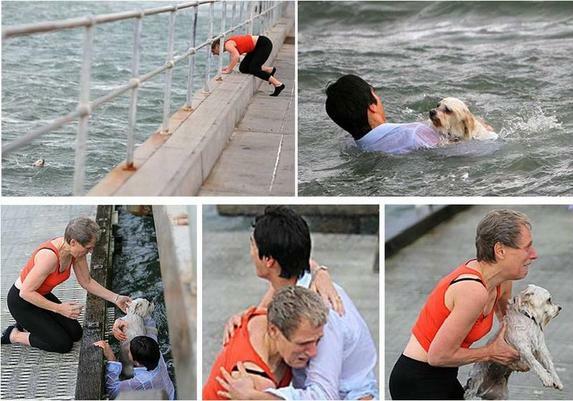 Sue Drummond was taking her Shih Tzu for a walk on a Melbourne pier when a gust of wind hurled her dog into the waters of the bay. Raden Soemawinata was scattering his mother’s ashes at the pier at the time, and so quickly dived into the bay to rescue the animal. 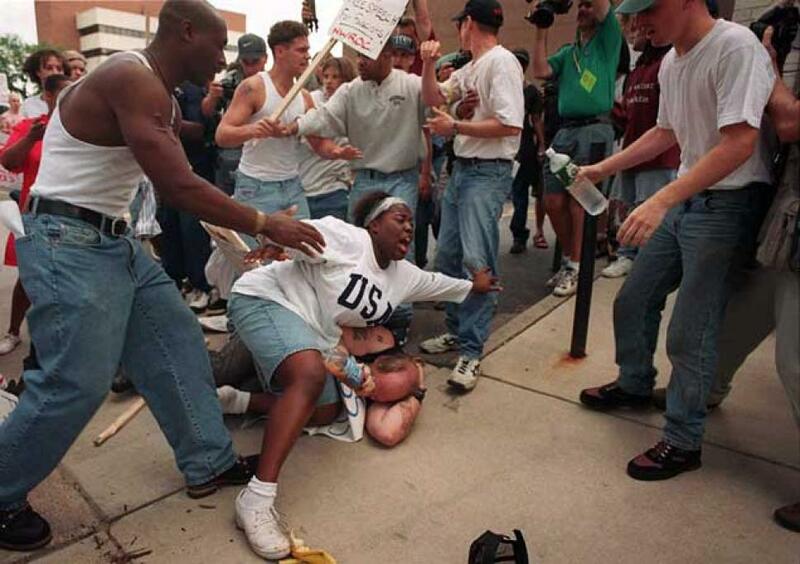 18-year-old Keisha Thomas proved that you can change attitudes not through violence but through compassion, as she jumped in front of a KKK member to protect him against angry protestors back in 1996. She never did see the KKK member after the attack; however, she was one day approached in a cafe shop by a young man who thanked her. When she asked why he was thanking her, he replied: “that man was my dad”. 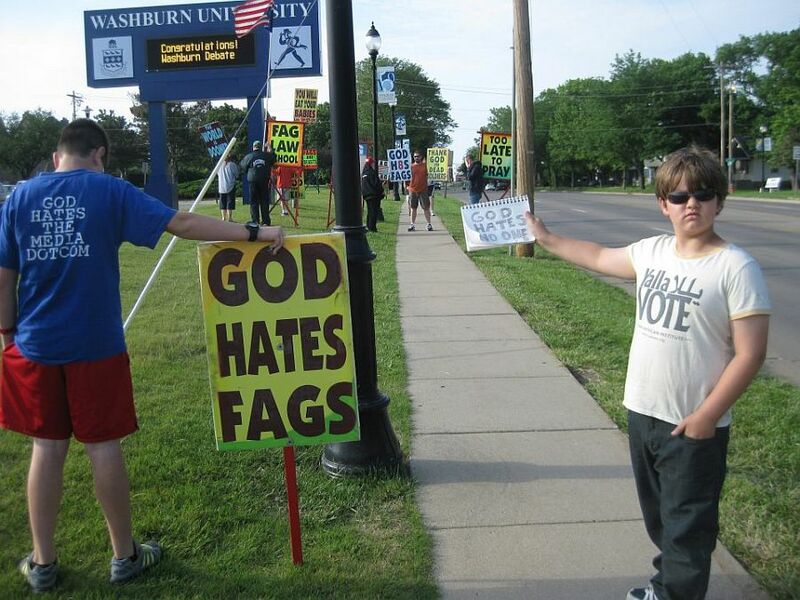 Josef Miles, who was just 9-years-old at the time this picture was taken, and his mother were walking through Washburn University Campus in Topeka, Kan, in 2012 when they noticed Westboro Baptist Church protesting with signs. 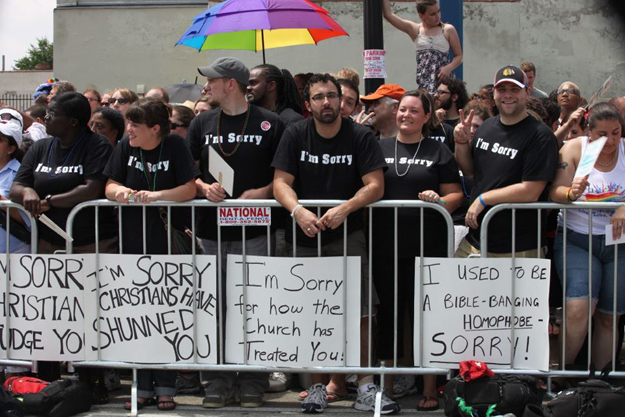 Westboro Baptist Church are the despicable religious group that picket with signs stating things like “God hates fags” or “Thank God for dead soldiers”. Miles therefore chose to take a stand, and so wrote out his own message on a little pad that said: “God hates no-one”. Read more interesting stories by checking out 10 Strange Coincidences to Blow Your Mind.